Do you always go in with the same method, or does it depend on what you're looking for? To maximize your results, you should take different approaches to searching based on the situation. Sometimes you'll want to search all records at once and sometimes you'll want to search a specific record set and nothing else. 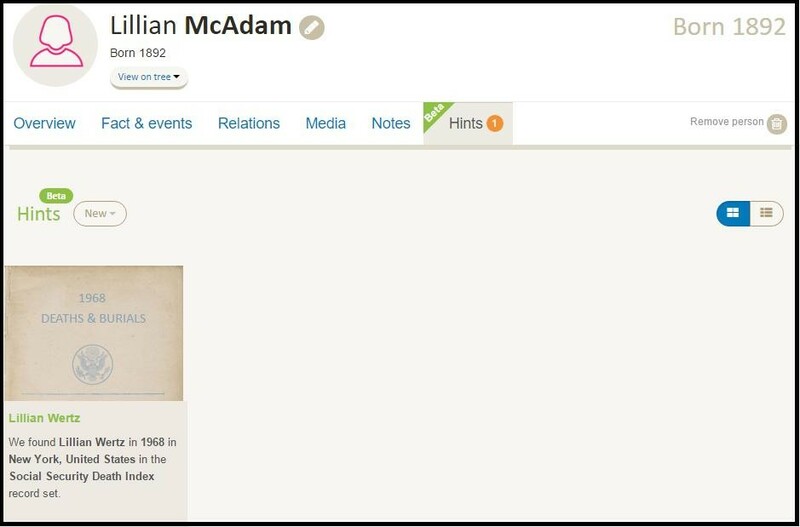 There are five different ways to approach searching on Findmypast, and each one has its rightful place in your repertoire. The best way to start searching is to do no searching at all. The hints aren't always correct, but it's easy to either accept or reject them, keeping only those that you're sure are for your ancestors. You can also upload your GEDCOM to Findmypast, see what hints pop up, and store your tree for no cost. New records are added to the site every single Friday, so hints will help you keep up-to-date. Just upload your tree and every time a new record has been added that may have one of your ancestors, hints will notify you. 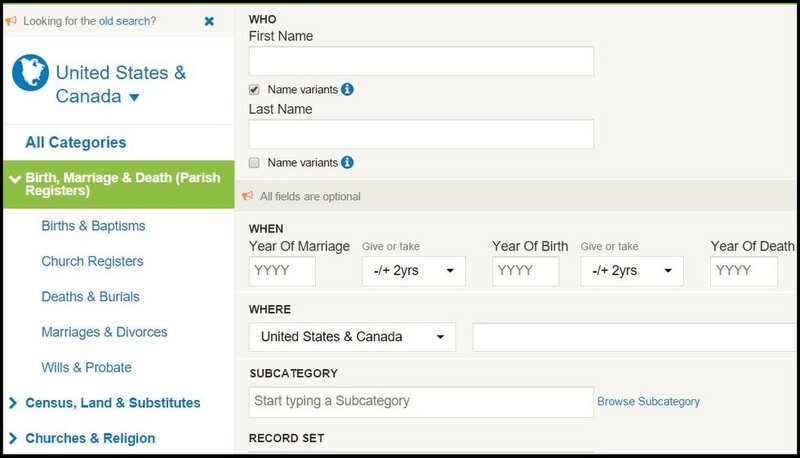 When to use this search method: If you're just starting out at genealogy, or have never used find my past, this is a no-brainer. Even if you're a seasoned veteran, it's worth having your tree on our site - hints will update you when we've added a new record with one of your ancestors. When to use a different search method: While we do think everyone should use hints, that's not all you need to use. You should always use different search methods in addition to hints. Let's get on to the manual search methods. Searching all records doesn't require too much footwork and provides some immediate results. The key here is not to get discouraged or overwhelmed when you receive a lot of results - that's just going to happen if you're searching all of our records. The first thing to do is to use the location dropdown menu to pinpoint the country you're searching in. Below that, you'll be able to see the number of results for each category of records we have. 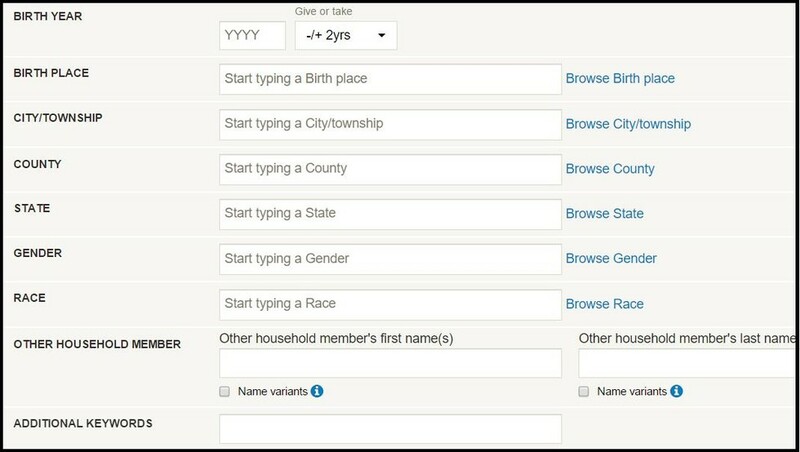 Finally, you can add additional information, such as state or county, to your initial search to narrow down the results. When to use this search method: Any time you want a lot of search returns. Our search mantra is "less is more" - the less information you put in, the more results you'll get. If you're researching a family but don't know much about the individuals, this method will get you a large list that you can easily whittle down. When to use a different search method: If you're short on time and looking for a specific person or specific type of record, there are more efficient ways to search, which we outline below. When you click on a category of record, you'll be able to do an advanced search and input search terms that are specifically related to that category. You'll also notice that you can drill down even further into the category - each category has several sub-categories for even more specific searching. 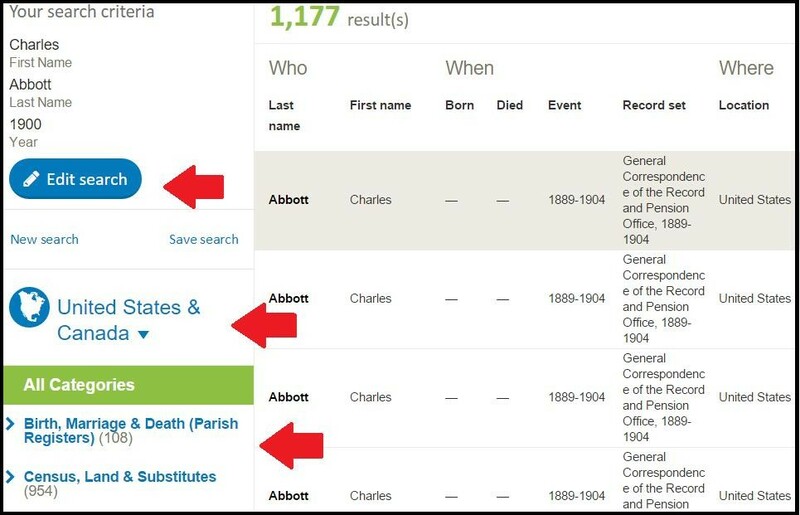 When you want to use this search method: If you know the kind of information you're seeking on a specific ancestor, this is a great way to bypass tons of irrelevant results you would get from searching all records at once. When you want to use a different search method: If you aren't sure what you're looking for, or don't know what each category might hold, it's best to start out by searching all records and then narrowing down the results from there. Remember, you'll still be able to see categories and sub-categories from the "all records" search. The advantage to searching a single record set is that you're able to use much broader search criteria than if you were searching multiple collections at once. You can search for name variants, use wildcard searches and broaden your possible date ranges. This is a good way to "leave no stone unturned" when you're pretty sure that your ancestor should be in a certain record set but isn't coming through on category searches. Mistakes can happen, both in family lore and record keeping - one way to find someone filed under a misspelled name or incorrect date is to dig into the specific record set. 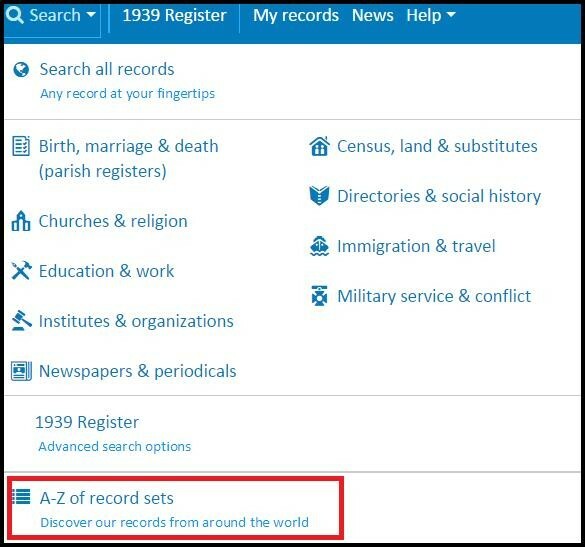 When you want to use this search method: This method is best for exploring specific record sets in great detail. If you have extra information (like the types seen above) and want to really narrow down your results, searching a specific record set is the way to go. 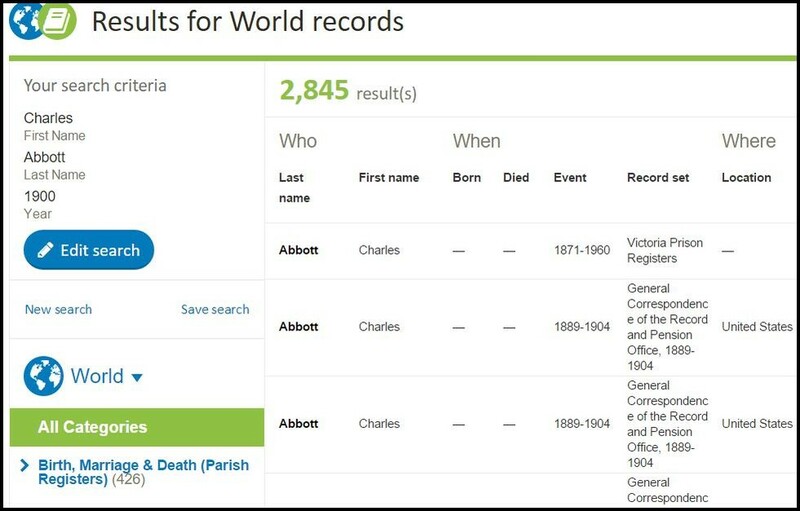 When you want to use a different search method: If you only have a little bit of information on your ancestor, or aren't quite sure what you're looking for, a broader search tactic is definitely better here. An important thing to know is that when you search all records, newspapers and periodicals are not contained in that search. 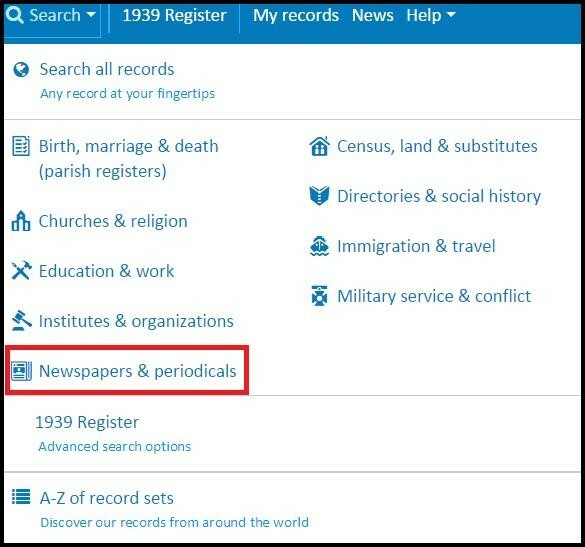 You'll be able to search for your ancestors in newspaper collections from around the globe. And don't forget about PERSI! This often-untapped genealogical resource is an absolute goldmine and it's undergoing a major evolution. We have tons of newspapers in our collection, and the same "less is more" mantra applies here - the less information you enter, the more results you'll get. Fortunately, we have a great set of filters so you can sort through results by publication, date, location and more. When to use this search method: Always search the newspapers! 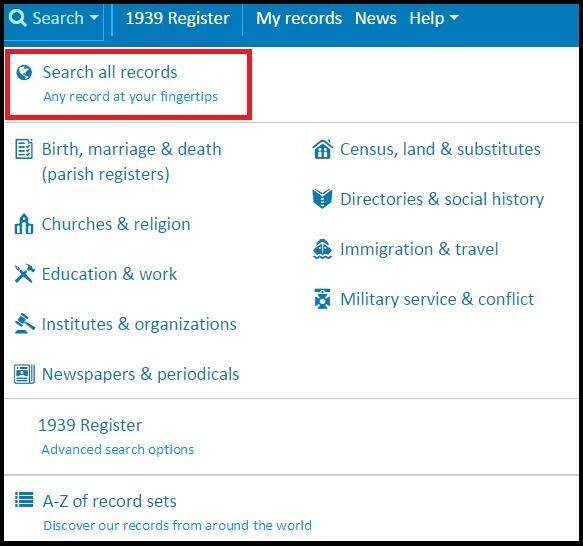 As I mentioned previously, an "all records" search will not comb newspapers, so you'll always want to do another search in this database. 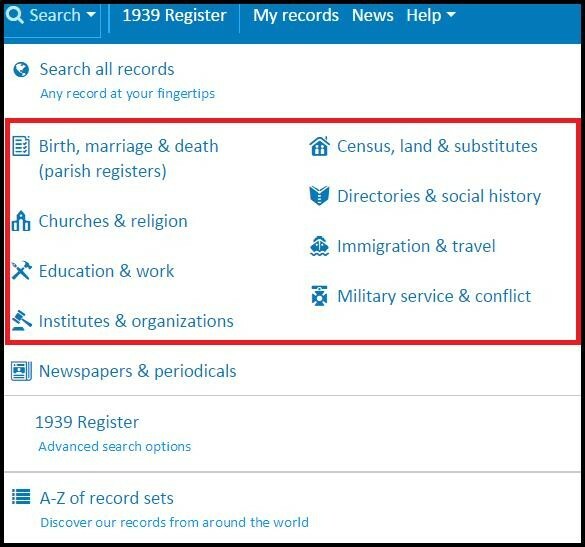 Not only will you find genealogical information, but you'll be able to re-create the world your ancestors lived in and learn more about the times they lived in. 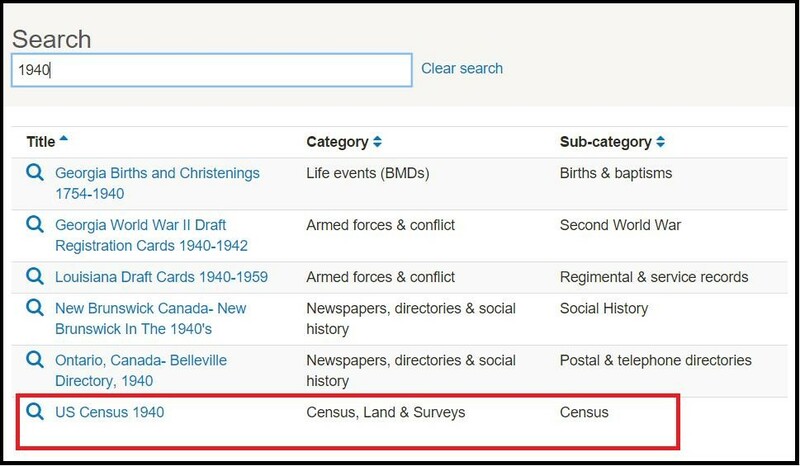 When to use a different search method: If you're looking for a specific piece of genealogical information, such as information contained in a census, this isn't the best place to start. You will find things like marriage announcements and obituaries though, so it's still worth a shot if you have the time.